I haven’t always been a milk guy. I poured it on my cereal when I was a kid, and I drank it with peanut butter and jelly sandwiches, because it is impossible to eat peanut butter and jelly sandwiches without a cold glass of milk, but other than that it was always kind of an afterthought beverage for me. After. After soda. After juice. And then when I was older, after beer. Milk was way down the line of my preferred beverage of choice. Then we had kids. We never realized how inundated our lives were with sugary, high-calorie drinks until we had kids and decided to cut them out. No more Shasta. No more Pepsi. No more 2% actual juice, juice. We decided that our household drink staples would be water and milk. Before every meal our kids get a choice, do you want water or milk? So yeah, we love milk. Our kids love milk. Stevie loves milk. And why not? Our pediatrician recommends it. It has protein and fat and tastes like happiness. He's annoyed that I am drinking his milk. That is why I was super excited to be asked to participate in the The Great American Milk Drive! While kids have access to milk regularly during the school year, when summer comes around that access declines for millions of families. But we can help! 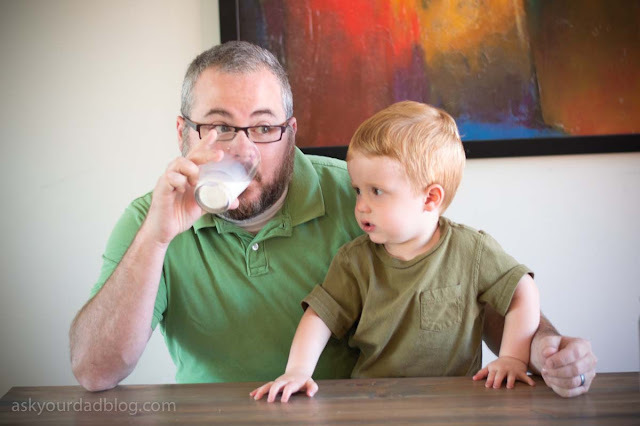 I am in a competition with a bunch of other dad bloggers to see who can raise the most money for The Great American Milk Drive! A donation of as little as $5 will deliver a gallon of milk to a local family through the Feeding America nationwide network of food banks. I’ve already donated $25! I am hoping you will join me. So do me a solid and follow this link to pledge the money you would usually use for coffee today to help! On June 16, The Great American Milk Drive is challenging America to donate gallons of milk for kids in need in their communities with a major, one-day social media milk drive. America’s milk companies and dairy farmers will make gallons multiply across the country by matching up to $10,000 in donations. You can follow this social media-driven milk drive on Facebook and Twitter with #MilkDrive. And now, here's a nifty info graphic with some more info. 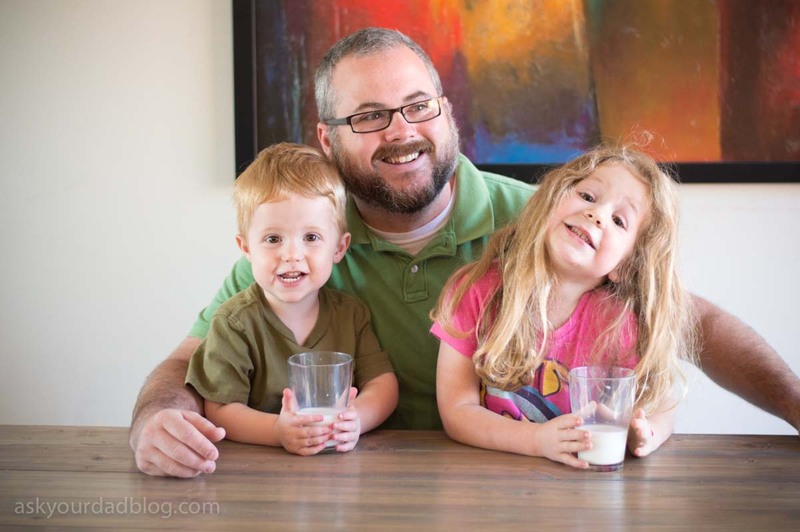 I have partnered with Life of Dad and Milk Life for this promotion. I have received compensation for my participation (a chunk of which has been donated to charity... and the rest went to groceries), but my passion and thirst for Milk is my own. Duchess and Stevie's TERRARIUM is looking awesome! We are trying to keep Boy Two off of dairy because of his excema, and it is pretty much a nightmare. I feel for anyone out there who has to adjust to a special diet for their small people, although I clearly rather make adjustments I can afford than have to ask others for basic necessities. I desperately wish this did not have to be a post. This is a great cause! Our kids love milk and there is always atleast two gallons in the fridge. In fact, when we get down to one gallon we have a mini panic attack and I have to run out for some more. 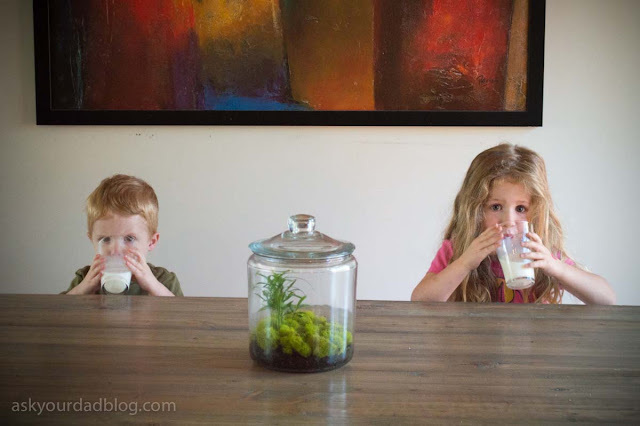 Milk is like liquid gold in our household and it is the one thing that we give them that completely shuts them down until they finish what is in their cups. There are never any half finished cups of milk laying around, it is like throwing meat to hungry lions in a zoo.